Bold gold jewelry is a great way to accessorize an outfit. 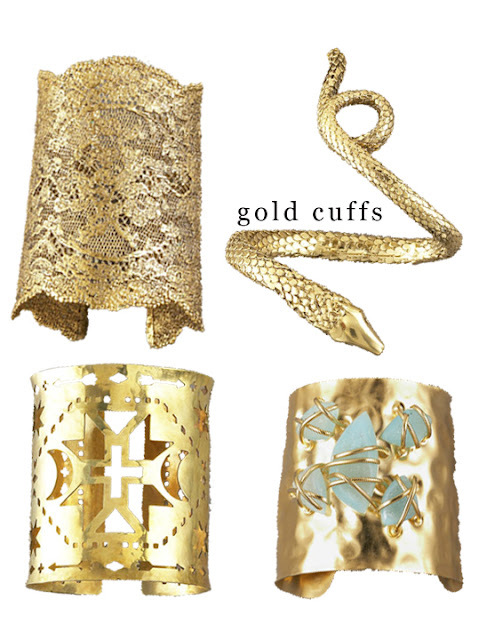 We especially love the look of a unique gold cuff. From intricate lace detail to southwestern-inspired flare, here are some of our favorite gold cuffs of the season.